Mix and Chic: Home tour- A well-dressed Connecticut home! Check out how designer Suzanne Kasler adds sparkle and shine to a Connecticut home! 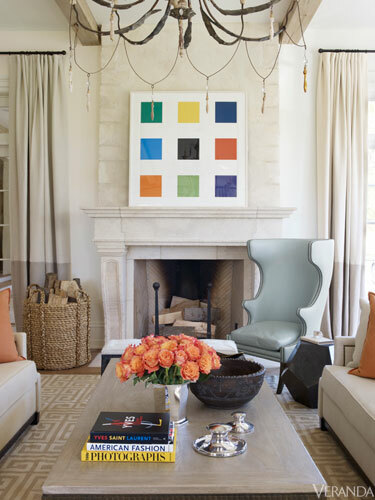 Using both casual and tailored furnishings with glam accents and a burst of colors throughout, this home evokes a sense of sophisticated, relaxed elegance. 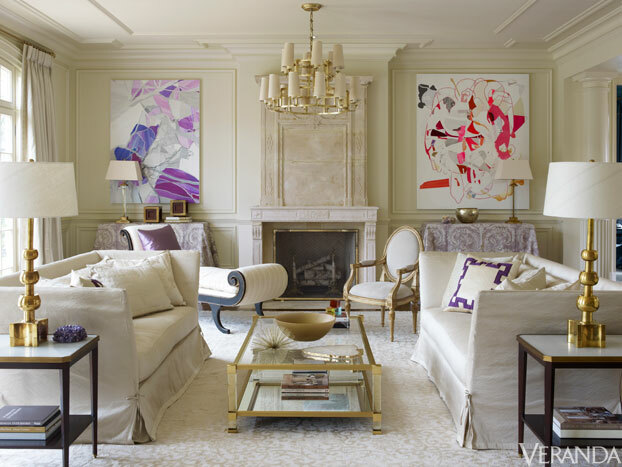 The bright and airy neutral family room is my favorite room. Which room is the most appealing to you? Do you enjoy Kasler's designs as much as I do? Good God that home is perfection! 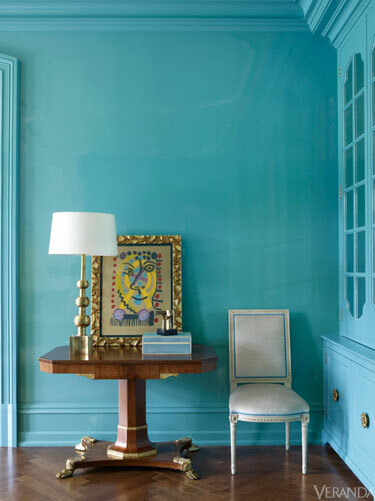 Every room is striking, with just the right balance. Great home! 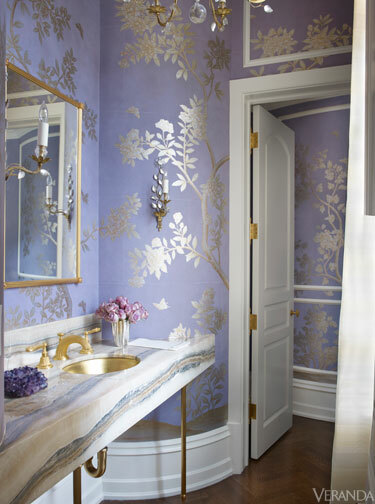 I love the lavender wallpaper in the bathroom. So lovely! would live there amidiately!